Apple introduced a new feature with the new iPhone 6s and 6s Plus This year dubbed “Live Pictures”, which are essentially GIF images with sound. Although this feature is present on Samsung, HTC and Microsoft / Nokia devices for a while now, it is missing from most other Android devices. As with all other Apple functionality present as their own innovation, Live Photos can not be ignored. Some might feel the feature is gadget but honestly, it may be helpful while taking shots of children or a funny reaction. 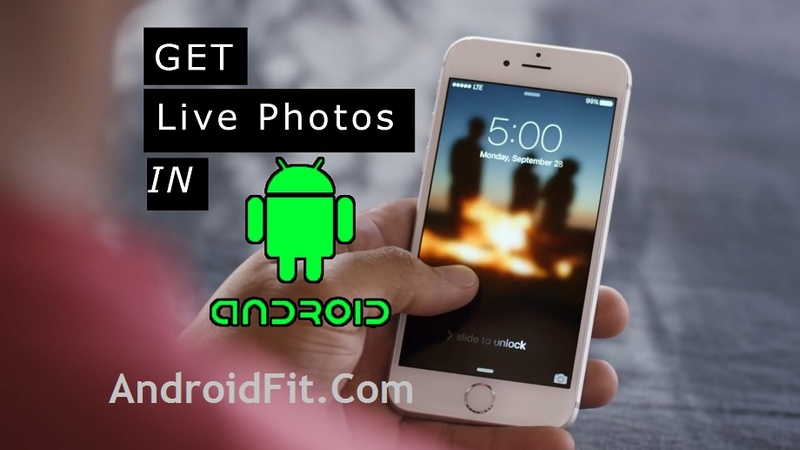 Ready to take Live Photos on Android? 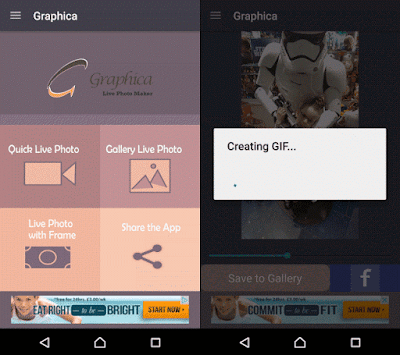 May be the easiest to use, Graphica live Photo Maker is roughly what the name suggests, the rapid launch with a menu offering the opportunity to direct quick photo, create animations from previous photos on your phone with Live Photo Gallery and also take a direct picture with a frame. For direct quick photo, simply press the button, line up the shot, then press Start. 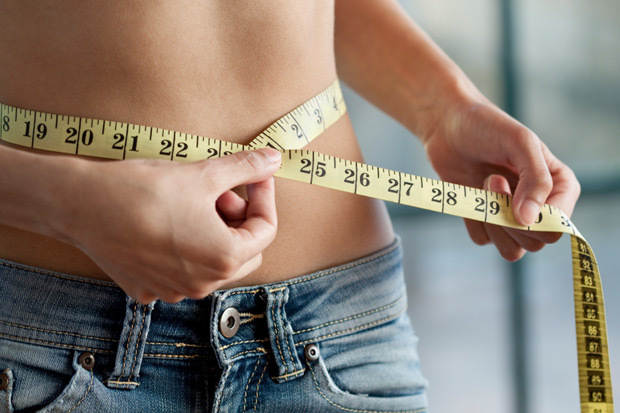 As long as your subject is moving slightly, you should get good results. With the photo captured live, you can adjust the speed with the green cursor, and when happy, press Save in the gallery. You will see the message Creating GIF, then your live photo will be saved! 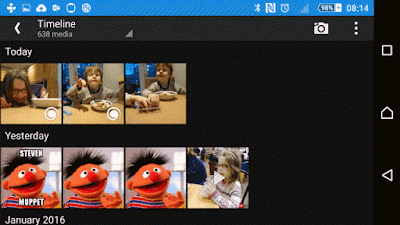 Share it by browsing your favorite Android app photo gallery and using the usual stock options. Phogy is one of the best applications if you want to recreate Live Photos iOS with a twist. 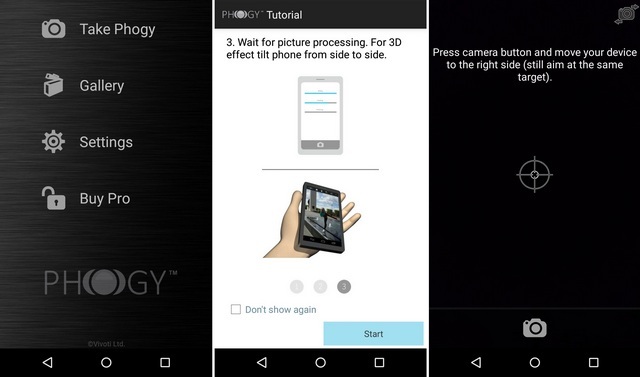 Phogy capture Live Photos and adds an innovative 3D touch to it. The application captures the animation and the surrounding area and the images move with the movements of your smartphone. 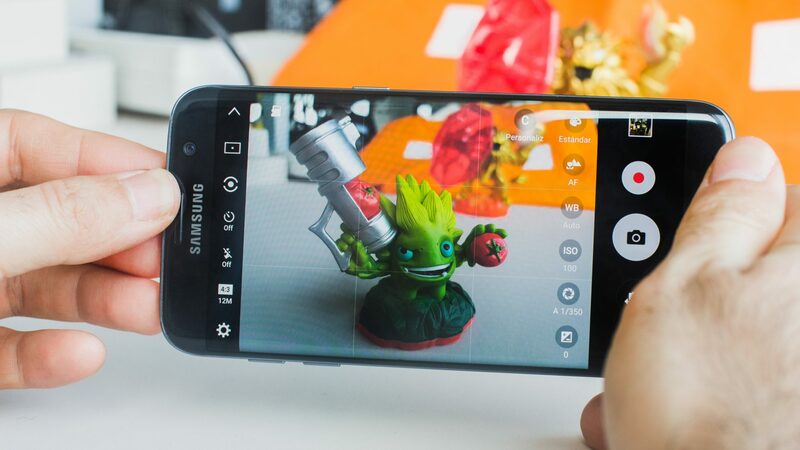 Capturing a live 3D image is, simply to focus and move your smartphone during capture. Unfortunately, the free version of the application limits movement to 3 seconds. Phogy also allows you to optimize the geometry of an image, the direction of the swap, rotate, and check the details. You can also change the brightness, contrast, hue, blur, sharpen images and add the oil painting. However, the free version is very limited and creates images that can not be seen in the Phogy image viewer. 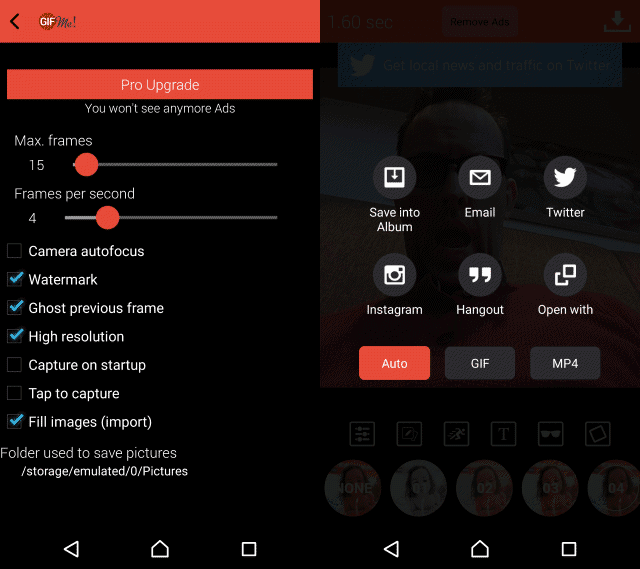 The Pro version of the application is available via in-app purchase and brings unlimited catches, ability to create short mp4 videos, GIFs high quality, phogies together as animated wallpapers and more. It also provides additional parameters, such as HD resolution photo, exposure time, more resolution GIF etc ..
A useful tool that allows you to create GIFs from photos and videos already stored in the gallery of your phone gif Me! is also free, which is never a bad thing. Although ad supported, a premium version is available as an upgrade to the application, via the Settings screen where you will also find sliders to adjust the number of images in your GIF and the maximum number of frames per second . Creating a live picture from scratch is simple – just tap the camera icon and press the capture button until you’re done. A selection of filters is then available for you to choose, and various editing tools, such as speed control, or adding stickers or frames. When finished, you can use the export option to save as gif native Me! 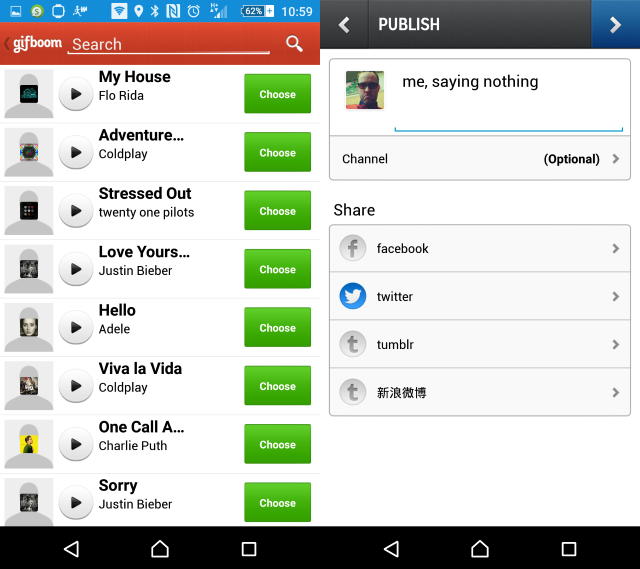 file or as GIF or MP4, as well as share on Twitter and Instagram. Another free, ad-supported option, Camera MX is capable of more than just live photos, and has a wide selection of options available in the Settings screen. After launching, you’ll be taken directly to the main Camera MX camera. Don’t like this? No problem — you can disable the Direct Camera Start setting by pressing Back. Note that although Camera MX will create live photos, it also does various other things, and comes with a collection of filters. You’ll see these from the camera interface by tapping the fx button; for creating new live photos, ensure the swirly blob button is selected. This icon is overlaid onto photos created in the app, so you can find them easily in your Android gallery app . When you take a photo with the camera MX, you will see the turning of the wheel of progress as it collects data from the camera sensor. Everything that happens in front of the lens during this time will be captured. As long as the Instant Live Shot option in Settings> Camera is activated, the live image will automatically be registered (note there is also an option for Shoot-The-Past, that will capture what happened before press the shutter of the camera). You can then examine the camera MX live photos from the app, where your new image can be shared as a picture or Live Shot. Live picture coupling GIF creation with social networks, GifBoom would really like you shared your photos movement with the network. With an intuitive interface of the camera, you learn GifBoom pressing record to capture the scene. When finished, press the button again and oriented right arrow in the top corner to make the Gallery application, where up to 60 photos can be selected for the live picture. When you are satisfied, press the arrow again to continue, and use the slider to adjust the speed and filters to style the GIF as favorite. Press right one last time to save the GIF, and if you want, add audio content. After that, you can share the GIF or in GifBoom, or on Facebook, Twitter or Tumblr, assuming you have given permission for the application to access those accounts. Become familiar with Fyuse can be difficult if you opt for social connection option via Facebook. If you choose this instead of creating a new account, make sure to type in theLog button (it appears that you are already connected, you are not). This rather impressive application allows you to create small strokes arc base (he calls “spatial pictures”), such as 180 ° snaps you might have seen on other applications, but shorter. The results of this approach can be quite stunning, with items that look best with close-up photography (like food) end up looking much better than usual. It also provides a quick overview of a time that can be quite illustrative, as the capture of the reveal of a new outfit. To use Fyuse, just press the camera button and hold the record button down as you move the camera slowly in one direction (left, right, up or down) keeping showing the object. When finished, release the button, and an overview of the Fyuse recording by pressing the thumbnail (you can see a Fyuse in action on the site). You then have the option to trim the beginning and end of the clip by typing next, and with a second outlet of the next, add filters, adjust the brightness, sharpness, and other options, then save the role ‘camera. A final tap next button allows you to share the image at Fyuse network, which is like a short but Instagram in perpetual motion. Catch of Fyuse may be settled in private mode by disabling the Make public, while you can also share on Facebook if you feel the need. 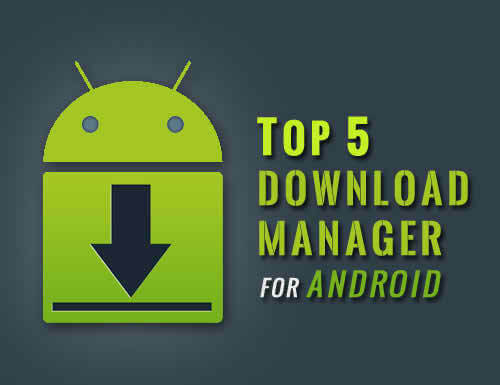 >Download & Install from Google Play store. 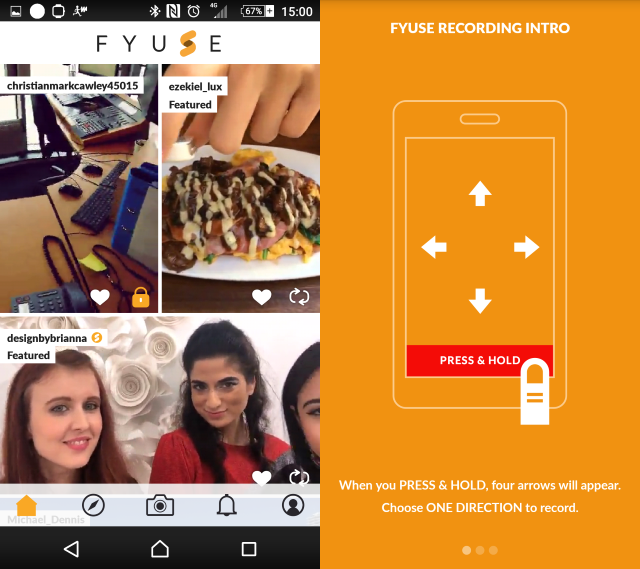 **Note that Fyuse is also available for iOS. See also: Super AMOLED vs LCD vs Retina display: what’s the difference? Zoe camera feature was the pride and joy of the Taiwanese manufacturer in recent years. It has a burst mode that allows you to capture very short videos, similar to GIFs or Live Photos. Keep in mind that the live pictures have HTC Zoe is only available on high-end flagship smartphone HTC. Google Camera is available for most Android devices, but its live pictures as feature is not. 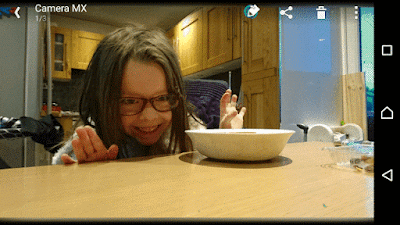 latest version of the Google camera comes with a SmartBurst feature that automatically creates GIF images. Unfortunately, the feature is only supported on the Nexus Huawei 6P. Hoping that Google supports more devices soon. Samsung has always ensured that its TouchWiz Android skin is packed with all the features you can think of. The interface TouchWiz camera comes with several modes and one of them is “Entertainment Mode” that allows you to capture audio with animated GIFs. One aspect of all the pictures live phenomenon that people tend to overlook is that the idea is already popular in the form of short videos, such as those downloaded Instagram and Vine. 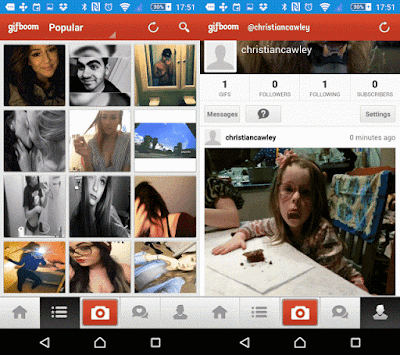 Instagram imposes a second limit of 15; Vine is 6 seconds. Most live photos have a 5-10 seconds of playing time, so there is a clear and obvious overlap here. You must already know about Instagram but if you do not, we have prepared a guide for you that looks like its video function. Meanwhile, six seconds of the vine can be used to make super-fast films, not to mention many other creative projects. These are the best apps to bring you live pictures featured on Android. 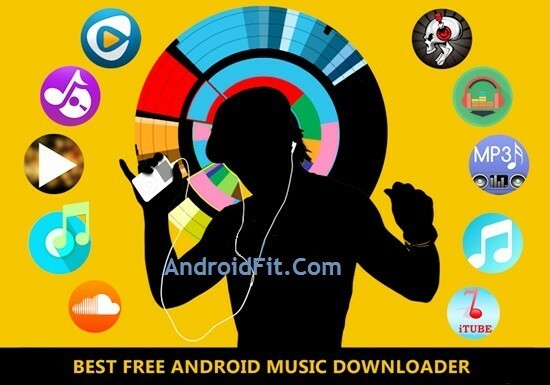 If you use a Samsung or HTC high end phone, you already have the function, but if you do not have it, you have to try these applications and let us know how you like them. 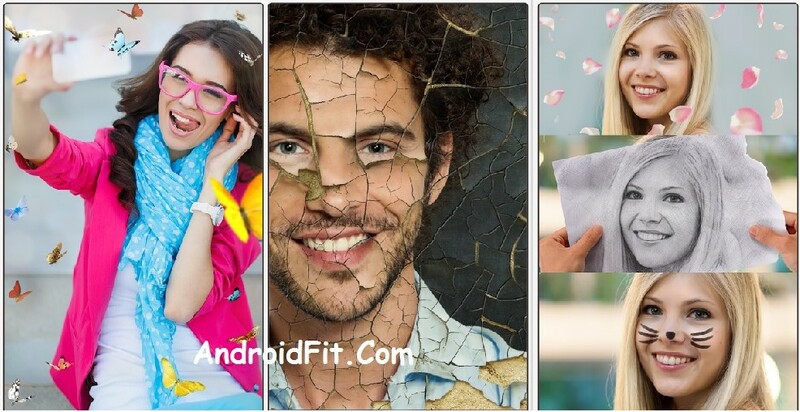 So there are 9 applications that will help you to “live picture” style animated images that rival the native Photo function efforts of the iPhone. But what do you think? Did you use any of these applications? What do you think of the results? Have we missed an application that you would have called for such a list? Tell us in the comments.